Do you ever wish that you could get everything you need for a traditional Christmas here in the New Forest? Now you can make Christmas a truly New Forest experience by using only local food, buying Forest-inspired presents, decorating your tree using only natural decorations and walking off dinner with a Boxing Day walk. Looking for a present no one else will have? Visit the Forest Store at the New Forest Centre in Lyndhurst for unique and inspired New Forest National Park gifts. 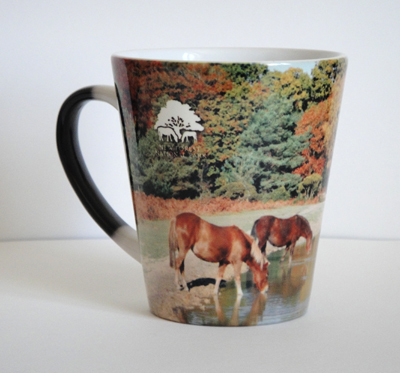 There is exclusive outdoor gear and a range of gifts including a pony safety-promoting ice-scraper and a photo mug with a picture that magically appears when you pour hot water in it. For local produce visit the New Forest Marque website www.newforestnpa.gov.uk/new-forest-produce, an award scheme managed by the New Forest National Park Authority and New Forest District Council. All the food and craft is guaranteed to be local. It is the perfect place to find out where to buy your goose and Brussels sprouts! Buy your Christmas tree from the Forestry Commission at New Park, Brockenhurst. Trees are on sale from 10am-4pm until the 19 December.